I know we just had a concept from John Elbertson a few days ago, but this one was too good not to share on this Minor League Sunday. 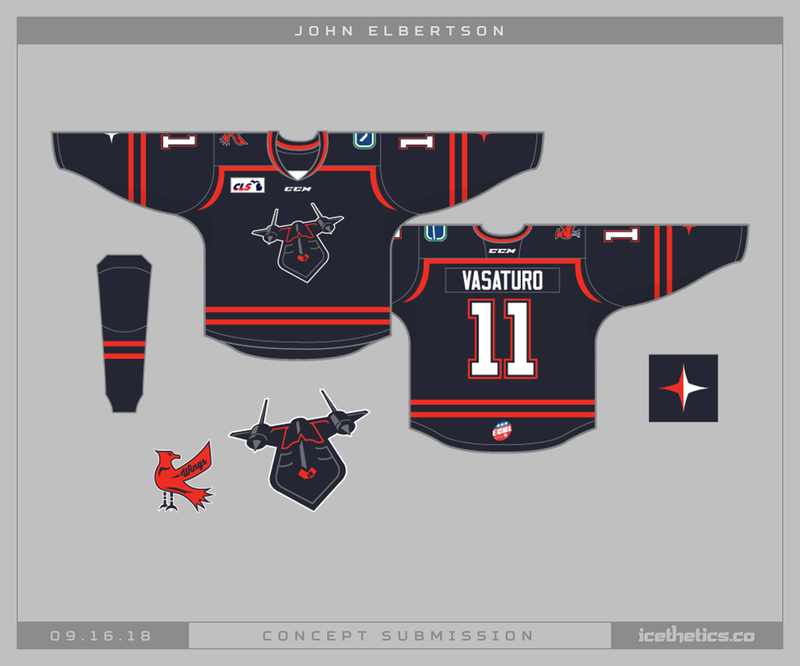 He submitted it for a jersey design contest the ECHL’s Kalamazoo Wings were holding. Why they didn’t choose it is beyond me! It’s also the first-ever K-Wings concept posted to Icethetics. Getting the Sharks to go retro with their forthcoming third jersey is probably too much to hope for — let alone their primary uniforms. But John Elbertson can dream. Gorgeous set here. John Elbertson has come up with another keeper. His newest take on the Tampa Bay Lightning is pretty sharp and relies on the old logo from 2007. The OHL's London Knights have such a great color scheme and John Elbertson has put it to greater use in his latest concept submission. 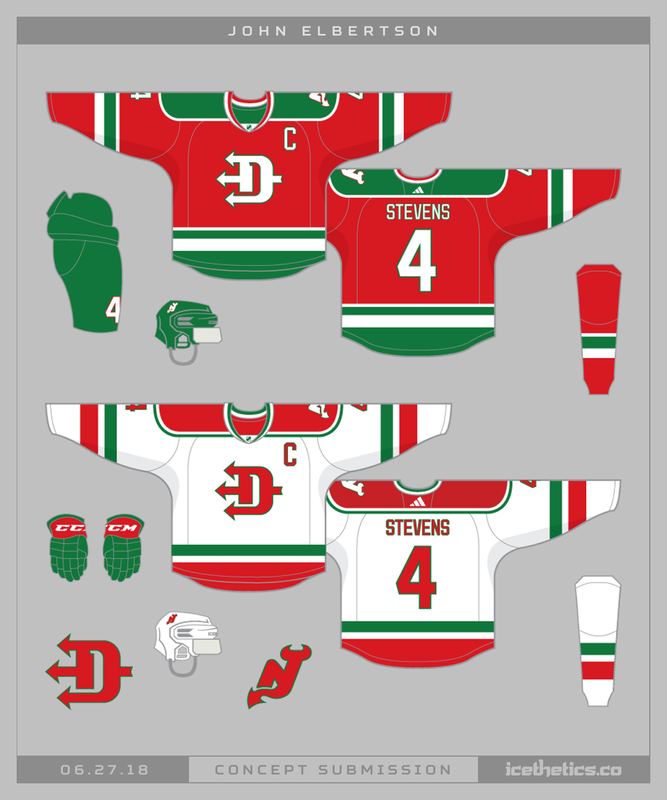 John Elbertson brings his talents to the New Jersey Devils today with a design that feels like it could've come right out of the 1970s. His original logo includes all three letters of the team's abbreviation — NJD. That's a nice bit of work.